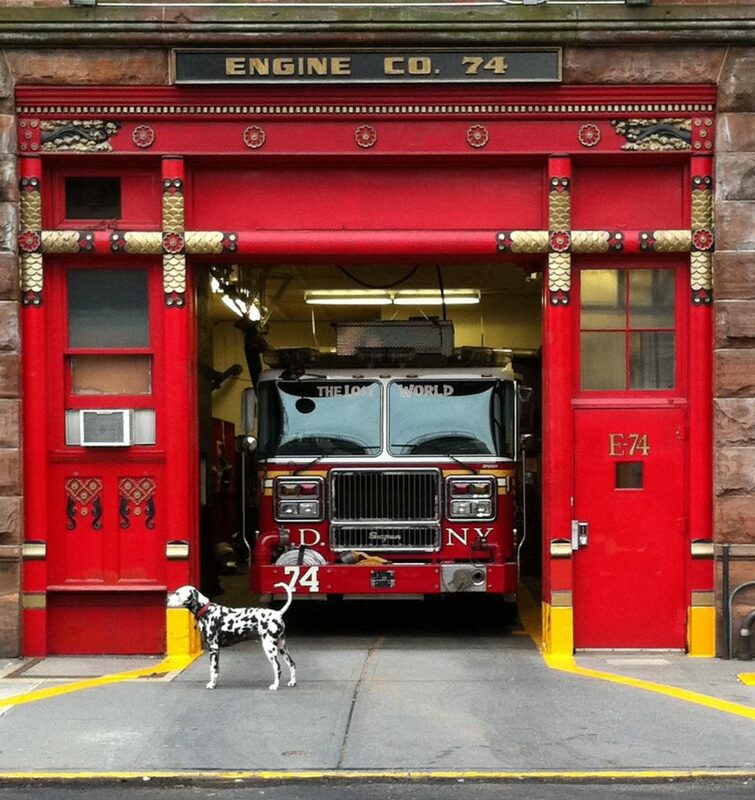 Before we begin in earnest, please consider the concept of firehouses. After a major fire in Boston in 1631, the first fire regulation, and subsequently the first public fire department, was established in North America. Since that time, the existence of publicly funded and paid fire departments has been an important part of our communities. This upside capture is best illustrated when looking at the S&P 500 between January 1, 2009 and December 31, 2016 when its average annual return was 14.43%.3 Over the same period, the Bank of America Merrill Lynch All US Convertible Index (VXAO) generated an average annual return of 13.63%.4 Effectively, the VXA0 (convertibles) captured 95% of the performance of one of the most impressive equity bull markets in history. If the average annual performance dating back to January 1, 2007 (10 years) is considered, convertibles have captured 93% of the S&P 500’s upside. Given the downside protection inherent in the asset class, the risk-adjusted performance of convertibles versus equities is also important to consider. Over the past 10, 15 and 20 years, convertibles have generated returns in-line with equities, with a lower standard deviation and a higher Sharpe Ratio.3 Over the prior 10 year equity bull market, convertibles had a standard deviation of 12.88% versus 15.28% for the S&P 500 and a Sharpe Ratio that exceeded the S&P 500.3 While convertibles have demonstrated lower volatility than equities, they have also been uncorrelated to fixed income over the last 15 years as measured by the Barclays Capital U.S. Aggregate (Exhibit 2). By including convertibles as part of a fixed income allocation, investors have historically received equity-like returns with diversification benefits. Yet, including convertibles as part of an equity allocation may also provide a more conservative, risk controlled exposure without sacrificing significant upside performance. Considering post-2008 equity market buoyancy, and current market levels, risk management considerations should be a more focused part of any investment regimen. In fact, almost all investors are familiar with the disclaimer required in any publicly traded prospectus: “Past performance does not guarantee future results.” Regardless of whether one agrees that the next decade will not be identical to the last, the following discussion begins to explain why and how convertibles provide significant upside equity participation while, owing to the asymmetry of the asset class, also protect on the downside. If this buoyant market experiences a sudden loss of pressure, convertibles are likely to preserve more capital than their underlying common stock and may represent a prudent risk-managed approach to market exposure. Historically, during a full market cycle, convertibles have outperformed equities on a risk-adjusted basis. The exceptions have been rapidly rising equity movements over shorter periods of time.6 Even when equity markets accelerate, convertibles participate, although not as sharply. Alternatively, in flat or moderately positive equity markets, convertible securities’ upside equity capture is significant and enhanced by their relatively high income. The positive structural transformation that has occurred in the convertible market during the past decade has been significant. 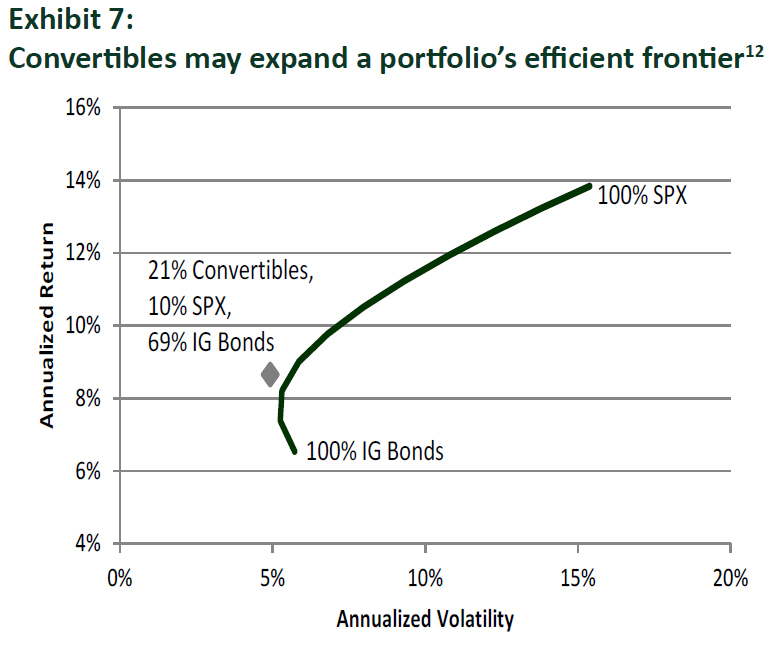 First and foremost, investors are surprised to learn that the convertible market is more liquid than the $1 trillion+ high yield bond market.7 Dealers are able to more naturally hedge convertible positions, so sharp market corrections generally do not result in “offer-only” markets typically experienced in high yield market sell-offs. In terms of convertible structures, maturities are now typically 5-7 years, down from 25-30 years and, in our view, shorter maturities materially improve downside protection. Conversely, call protection has been extended from 2-3 years to 5-7 years (life of the security) with the longer protection enhancing upside participation versus the underlying equity. Significantly more equity participation is also available due to lower conversion premiums8 at issue. These attributes, contributing to the market transformation, enhance the attractiveness of convertible securities. Some of these changes reduce volatility, while others improve equity upside participation. All are unique to convertible securities and can benefit the convertible investor by providing idiosyncratic return potential from a relatively uncrowded investment opportunity – evidenced by the sharp post-2008 rebound and high equity-like absolute returns generated during the same period. In addition to capturing a large portion of the underlying equity market upside, convertibles also typically outperformed in equity market sell-offs, as the bond floor provided downside protection and the coupon helped to counter equity market depreciation. During the sharp market correction that spanned November 2007 to February 2009, convertibles also suffered a meaningful decline primarily attributable to the poor performance of the more than 200 overleveraged convertible arbitrage hedge funds. Today, however, the number of relevant convertible arbitrage hedge funds has declined sharply from a peak of over 200 to fewer than 20. In addition, prime brokers no longer provide the same levels of leverage to this dramatically smaller pool of convertible arbitrage hedge fund managers. The pronounced shift in convertible ownership from hedge funds to long-only investors has played another critically important role in the positive structural transformation of the post-2008 era. As described above, convertibles have frequently captured equity market upside while they have also provided significant downside protection. Little protection has been required since the market bottom in 2009, and equity valuations are currently near all-time highs. Extended equity markets, interest rates on the rise and increased volatility have historically been environments conducive to convertible outperformance. The Chicago Board Options Exchange Volatility Index (“VIX”) was established to reflect a market estimate of future volatility (Exhibit 3) . Also known as the “fear index,” the VIX has recently held to persistently low levels notwithstanding a recent six day span when it moved up 57%.10 Typically, increased volatility portends a market top, or a market bottom. Considering the current S&P 500 levels (Exhibit 4) , the greatest current risks appear to be heavily skewed towards a downside scenario. 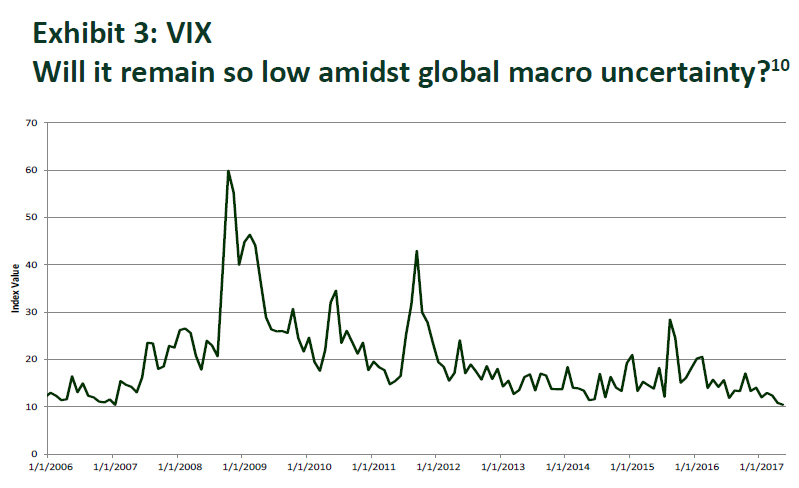 Either way the market moves, recent price action of the VIX may be indicative of increased future volatility. If equity markets are at an inflection point, a convertible allocation is likely to provide an ounce of prevention in a diversified portfolio. When volatility rises above current historically low levels, the embedded option in convertible securities should also increase in value, thereby providing an opportunity to capitalize on the increased volatility. Eight years of global central bank stimulus has fueled markets to recent highs. Rational or not, global financial markets have been on a strong upward trajectory and the United States Federal Reserve Bank (Fed) has taken notice. Although the Fed already incrementally raised rates at the March and June 2017 Federal Open Market Committee meetings, Fed bankers have penciled in at least one additional rate hike into their 2017 forecasts. In Exhibit 5 , we analyze how convertibles have historically performed in various macroeconomic conditions. Should these prior trends and relationships hold, investors would be wise to carefully consider initiating or increasing their convertible allocations in order to diversify their traditional fixed income exposure. In the past, periods of rising rates have been accompanied by strong convertible new issuance. In fact, year-to-date through May 2017, corporations raised approximately $35 billion globally through issuing convertible securities. 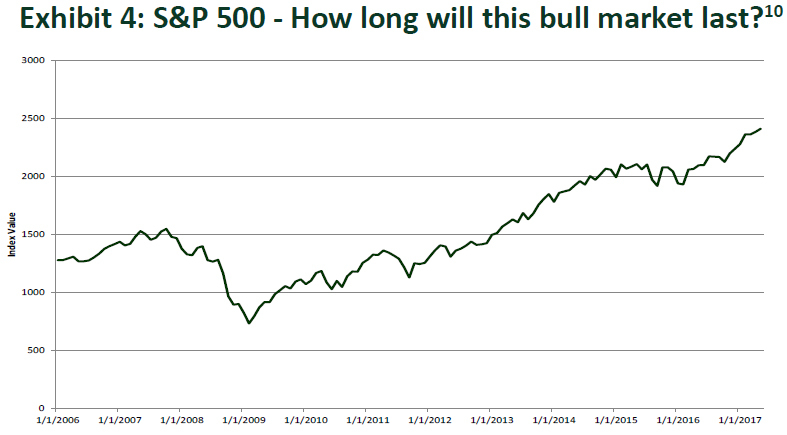 This represents a 50% year-over-year increase, according to UBS/Thomson Reuters. 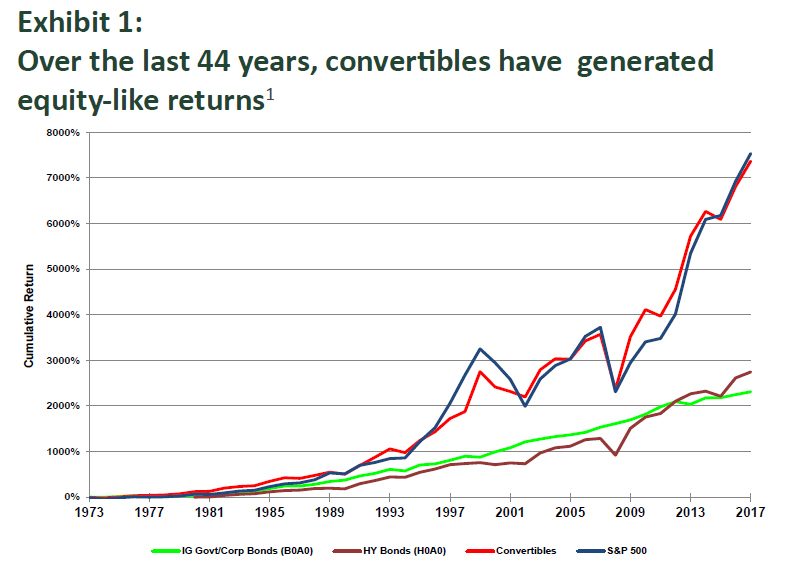 Over the long run, convertibles have proven to be a useful portfolio diversifier. They typically capture much of the equity market upside while providing downside protection, and low correlation (Exhibit 2) to other fixed income asset classes. Over full market cycles, they also typically deliver an equity-like return, a higher Sharpe Ratio and a lower standard deviation as compared to common stock. The addition of convertible securities provides the potential to improve most portfolios’ efficient frontiers by offering highly compelling risk-adjusted returns (Exhibit 7) . While convertibles have historically provided very strong risk/return characteristics for investors, the convertible market has undergone a significant positive structural transformation during the past decade, which provides an even more compelling risk-return profile for the future. Shorter maturities have improved downside protection, longer call protection has helped to increase equity market participation, and the ownership shift from levered hedge funds to more stable long-only investors have all contributed to make the asset class even more attractive. Since 1973, the broad convertible market has closely tracked the performance of the S&P 500 with lower risk and has become a portfolio’s “firehouse” asset class by providing downside protection and the ability to allow investors to sleep calmly at night. Whether markets continue to move up, or start to sell off, convertibles represent the capital markets’ ounce of prevention in anticipation of more challenging markets, and its pound of cure during periods of high turbulence and distress. 1 Source: Bank of America Merrill Lynch and, prior to June 1992, Ibbotson Associates. B0A0 is the Bank of America Merrill Lynch Corporate and Government Master Index. H0A0 is the Bank of America Merrill Lynch High Yield Master II Index. V0A0 is the Bank of America Merrill Lynch All U.S. Convertibles Index excluding Mandatories. From 1973 to 1981, the convertible proxy for these years, referenced in an Ibbotson Associates study, is based on returns of convertible bond mutual funds. From 1982 to 1987, the Ibbotson proxy for convertible performance is the First Boston Convertible Bond Index. From 1988 to present, we reference returns from the V0A0 index, as that benchmark’s inception date was 12/31/87. Past performance is not a guarantee of future results. Please see disclosures at the end of this document. 4 Source: Bank of America Merrill Lynch. VXA0 is the Bank of America Merrill Lynch All U.S. Convertibles Index. 5 BAML Corp/Govt Master is the BofA Merrill Lynch Corporate / Government Master Index (B0A0), BAML Investment Grade is the BofA Merrill Lynch Corporate Master index (COAO), and BAML Municipals is the BofA Merrill Lynch Municipal Index (U0A0). Past performance is not a guarantee of future results. 6 From December 31, 1987 (inception of the VXA0 Index) through April 30, 2017, the BAML All US Convertibles Index (VXA0) returned 9.37% (annualized) with a standard deviation of 11.58%. For the same period, the S&P 500 returned 9.97% (annualized) with a standard deviation of 14.19%; and the Russell 2000 returned 9.93% (annualized) with a standard deviation of 18.50%. 7 Barclays Capital, US Convertibles Outlook 2017 “Ready for Takeoff,” November 29, 2016. 9 Source: Advent, Bloomberg, Bank of America Merrill Lynch. 11 Sources: Bank of America Merrill Lynch Convertible Research; www.federalreserve.gov; Bloomberg, Credit Suisse. VXA0 is the Bank of America Merrill Lynch All U.S. Convertibles Index. GA10 is the Bank of America Merrill Lynch Current 10-Year U.S. Treasury Index. C0A0 is the Bank of America Merrill Lynch Corporate Master Index. H0A0 is the Bank of America Merrill Lynch High Yield Master II Index. Bank loan performance is represented by the Credit Suisse Institutional Leveraged Loan Index (CSILL). Periods of rising interest rates are defined as an increase in the 10-year Treasury Yield of 100 basis points (1%) or more. Information is shown for the periods since the inception of CSILL on January 1, 1992. Past performance is not a guarantee of future results. Please see the disclosures at the end of this document. Advent Capital Management, LLC (Advent) is registered with the U.S. Securities and Exchange Commission as an investment adviser. This document is for informational purposes only and should not be considered as a recommendation of any particular security, strategy or investment product. No investment advice, financial advice, tax advice, or legal advice is provided through this document, and no person is authorized to use this document for those purposes. Any discussion or information herein relating to investment processes, portfolio characteristics or other matters relating to Advent, an Advent investment strategy and/or an Advent-managed separate account or collective investment vehicle (collectively, an account) is subject to change over time. Opinions and any forecasts of future events, returns or results expressed in this document reflect the opinion of the author, are subject to change without notice, do not reflect actual investment results and are not guarantees of future events, returns or results. Although this document, including any third party information, has been prepared using sources, models and data that Advent believes to be reasonably reliable, its accuracy, completeness or suitability cannot be guaranteed and should not be relied upon as such by any person. The information contained in this document does not purport to cover all matters that may be relevant for the purposes of considering whether or not to make any prospective investment. Prospective investors should conduct their own investigations in relation to the matters referred to in this document and are recommended to consult their own advisers in relation to such matters. Past performance and hypothetical performance does not guarantee, and is not a reliable indicator of, future results and the performance of an account may be substantially different. Current performance may be lower or higher than performance shown. The performance of an Advent investment strategy or account may be volatile, and an investor could lose all or a substantial portion of any investment made in an Advent investment strategy or account. No representation is given that an Advent investment strategy or account is suitable for any particular investor. Market conditions can fluctuate and vary widely over time and can result in a loss of portfolio value. No guarantee or representation is made that any Advent investment strategy or account will achieve its investment objective or have positive returns. Investing in financial markets involves a substantial degree of risk and there can be no guarantee that the investment objectives of an Advent investment strategy or account will be achieved. Investment losses may occur, and investors could lose some or all of their investment. This document may contain certain forward-looking statements. By their nature, forward-looking statements involve risk and uncertainty because they relate to future events and circumstances. Actual outcomes and results may differ materially from any outcomes or results expressed or implied by such forward-thinking statements. The success or achievement of various results, targets and objectives is dependent upon a multitude of factors, many of which are beyond the control of Advent. No representations are made as to the accuracy of such estimates or projections or that such estimates or projections will be realized. Actual events or conditions are unlikely to be consistent with, and may differ materially from, those assumed. Hypothetical performance results have many inherent limitations, some of which are described below. No representation is being made that any account will or is likely to achieve profits or losses similar to those shown. In fact, there are frequently sharp differences between hypothetical performance results and the actual results subsequently achieved by any particular trading program. One of the limitations of hypothetical performance results is that they are generally prepared with the benefit of hindsight. In addition, hypothetical trading does not involve financial risk, and no hypothetical trading record can completely account for the impact of financial risk in actual trading. For example, the ability to withstand losses or to adhere to a particular trading program in spite of trading losses are material points which can also adversely affect actual trading results. There are numerous other factors related to the markets in general or to the implementation of any specific trading program which cannot be fully accounted for in the preparation of hypothetical performance results and all of which can adversely affect actual trading results. Any index referred to herein is the intellectual property (including registered trademarks) of the applicable licensor. Any product based on an index is in no way sponsored, endorsed, sold or promoted by the applicable licensor and it shall not have any liability with respect thereto. All information contained herein is proprietary and is protected under copyright law. This page contains certain additional regulatory and other disclosures applicable to Advent Capital Management, LLC and its subsidiaries and affiliates (collectively, “Advent”). Not An Offer Of Advisory Services Or Securities This website (“Site”) is limited to the dissemination of general information about the services provided by Advent. This Site and the reports, data, information, content, software, RSS and podcast feeds, products, services, and other materials on, generated by or obtained from this Site, whether through links or otherwise (such material, together with this Site, the “Content”) does not constitute and should not be construed as an offering of advisory services or an offer to sell or a solicitation to buy any securities or related financial instruments in any jurisdiction. The Content is for informational purposes only and should not be considered as a recommendation of any particular security, strategy or investment product. No investment advice, financial advice, tax advice, or legal advice is provided through the Content, and no person is authorized to use the Content for those purposes. Any discussion or information in the Content relating to investment processes, portfolio characteristics or other matters relating to Advent, an Advent investment strategy and/or an Advent-managed separate account or collective investment vehicle (collectively, an “account”) is subject to change over time. Opinions and any forecasts of future events, returns or results that are expressed in the Content reflect the opinion of the author, are subject to change without notice, do not reflect actual investment results and are not guarantees of future events, returns or results. Responses to any inquiry that may involve the rendering of personalized investment advice or effecting or attempting to effect transactions in securities will not be made by Advent absent compliance with applicable laws or regulations (including broker dealer, investment adviser or applicable agent or representative registration requirements), or applicable exemptions or exclusions therefrom. Offerings are made only to persons who are "accredited investors" as defined in Rule 501(a) under the Securities Act of 1933, as amended. General Risk Warnings Past performance does not guarantee, and is not a reliable indicator of, future results and the performance of an account may be substantially different. Current performance may be lower or higher than performance shown in the Content. The performance of an Advent investment strategy or account may be volatile, and an investor could lose all or a substantial portion of any investment made in an Advent investment strategy or account. No representation is given that an Advent investment strategy or account is suitable for any particular investor. Market conditions can fluctuate and vary widely over time and can result in a loss of portfolio value. Advent makes no guarantee or representation that any Advent investment strategy or account will achieve its investment objective or have positive returns. Investing in financial markets involves a substantial degree of risk and there can be no guarantee that the investment objectives of an Advent investment strategy or account will be achieved. Returns presented on a gross basis are substantially higher than returns presented on a net basis because gross returns do not reflect the deduction of investment advisory fees and other expenses that would be incurred by a client. The returns of a client investment in any investment strategy will be reduced by the advisory fees and any other expenses it may incur in the management of its account. Advisory fees have a compounded effect in reducing account performance over time. The Content may contain certain forward-looking statements. By their nature, forward-looking statements involve risk and uncertainty because they relate to future events and circumstances. Actual outcomes and results may differ materially from any outcomes or results expressed or implied by such forward-thinking statements. The success or achievement of various results, targets and objectives is dependent upon a multitude of factors, many of which are beyond the control of Advent. Although Advent-generated Content has been prepared using sources, models and data that Advent believes to be reasonably reliable, its accuracy, completeness or suitability cannot be guaranteed and should not be relied upon as such by any person. The information contained in the Content does not purport to cover all matters that may be relevant for the purposes of considering whether or not to make any prospective investment. Prospective investors should conduct their own investigations in relation to the matters referred to in the Content and are recommended to consult their own advisers in relation to such matters. Revised January 2018 Advent Capital Management, LLC © 1995–2018 Advent Capital Management, LLC All rights reserved. Your use of this site signifies that you accept our terms & conditions of use. Please leave your details below and a member of our team will contact you, answer any questions, and get you started.